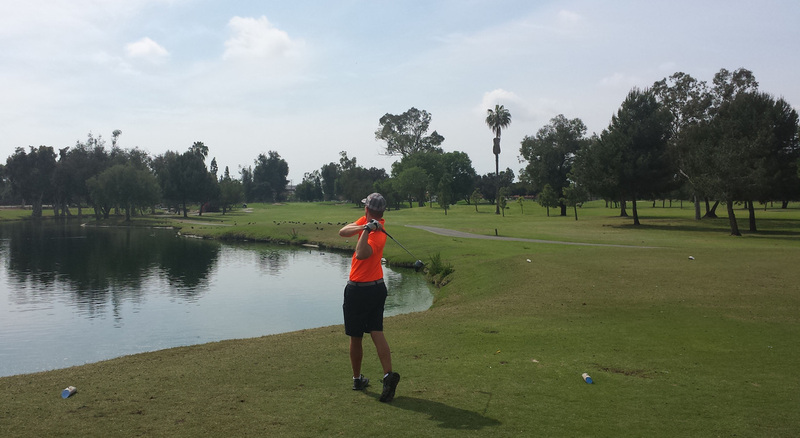 Lakewood Country Club Golf Course Hole 2: The course starts with two par fours of identical length (from the tips). However, this second hole plays into the prevailing wind and features a lake to the left that is definitely in play on the tee shot. Bailing out right, however, will leave a shot likely blocked by trees to an angled green. Lakewood Country Club Golf Course Hole 3 (left): This is a short par three over water with a trio of bunkers circling the undulating green. Shortsiding oneself on this hole will make for a very tough par. Lakewood Country Club Golf Course Hole 6 (below): The mad beast of the front nine is a very long par four, dogleg right. 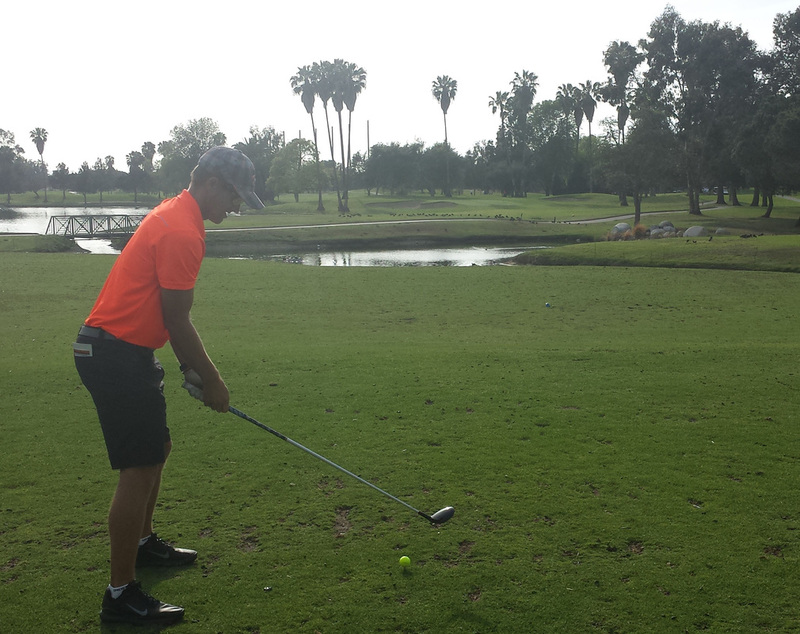 The ideal drive is right over the palm tree and sand trap. 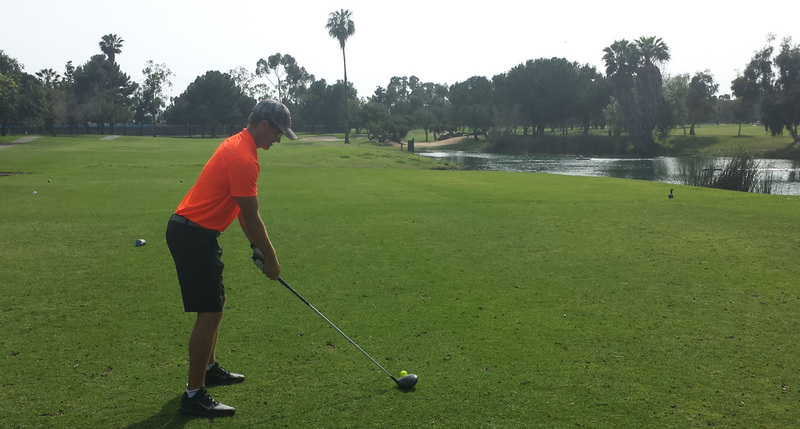 Too far left or right might leave a blocked shot to the green. Lakewood Country Club Golf Course Hole 11: Possibly the best designed hole on the course, features a tough and exciting drive that must stay right of the water, and left of the bunkers and trees. From there, the second is to a tight and undulating green that is well guarded by sand. 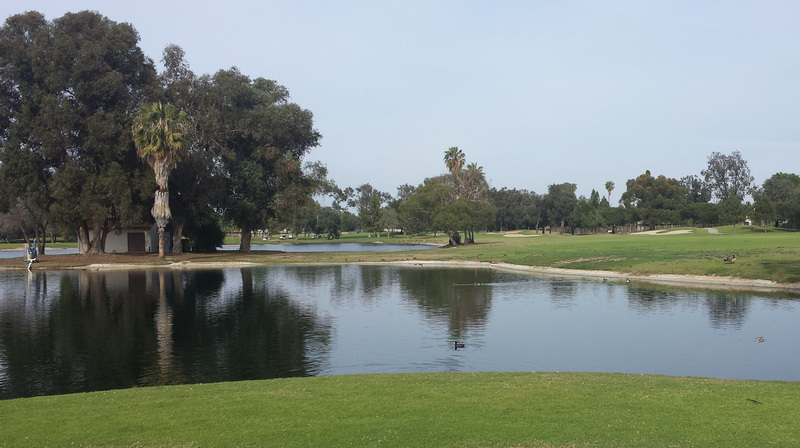 Lakewood Country Club Golf Course Hole 12: This golf course has a host of long par threes and this one is both long and has water, palm trees and sand, making par a tough proposition. More Los Angeles Golf Course Reviews.